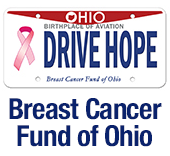 To provide compassionate support to Hancock County cancer patients and families through their journey. You may be visiting our site because you or a loved one has been given a cancer diagnosis and you are looking for support and information. You’ve come to the right place. CPS knows that cancer care is more than just medical treatments. Patients and their families often need assistance with understanding healthcare coverage, paying for out-of-pocket expenses and completing daily tasks. Our CPS support is provided free of charge to individuals who have been diagnosed with cancer and live or work in Hancock County. The goal of CPS is to address the whole person, not just the disease. We do so by providing guidance, comfort and services that help reduce stress and help clients cope during a difficult time. CPS is funded by the United Way of Hancock County, through various grants and third party fundraisers, as well as ​memorial donations and the generosity of many individuals.